Michael Primeau was born in 1991 in Ferndale, Michigan. At an early age, Michael began showing the makings of a future engineer. Most children would play with their electronic toys, whereas Michael would disassemble them, just to understand how they worked. At the age of 8, he developed an interest in the disassembly of the old computer systems his father would bring home for him to play with. He then began repairing them in his spare time. This sparked a passion for technology and complex computer systems. He attended Lawrence Technological University in Southfield, MI where he obtained his Bachelor of Science in Audio Engineering Technology. Throughout his journey at LTU, he absorbed knowledge from many educators and fellow students and learned valuable lessons. One of these lessons was the discipline to learn, which is how he obtained his degree – his ‘license to learn’. Another lesson was the ability to see no limits to the heights in which his skills and knowledge base could grow. 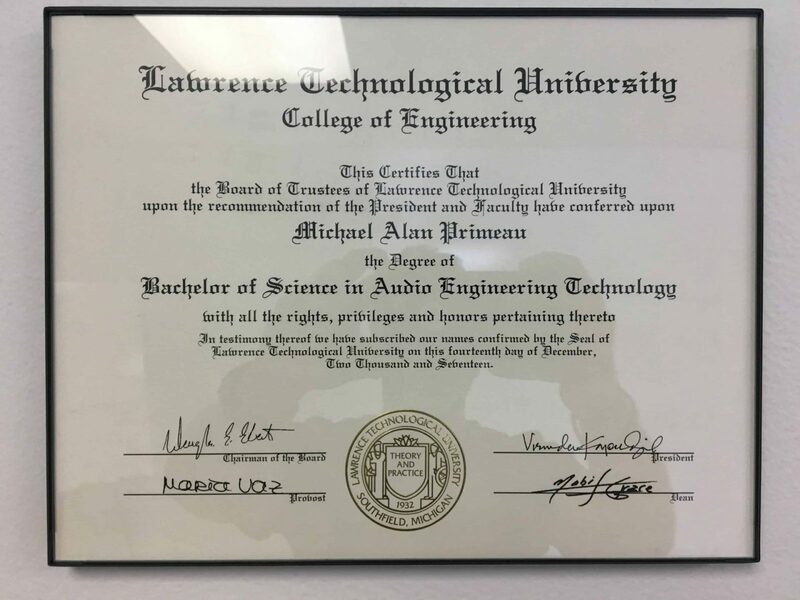 Michael’s superpowers consist of tenacity, patience to troubleshoot and solve complex problems, and perform repairs to computers, audio recording equipment, IT equipment and anything that has electronic circuitry. 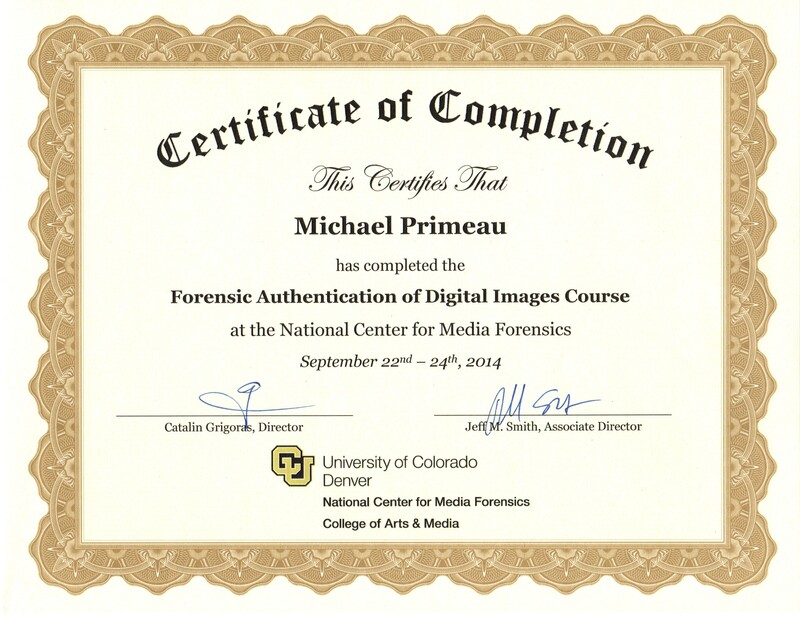 He began his career as a forensic expert at Primeau Forensics, LTD. in 2009. 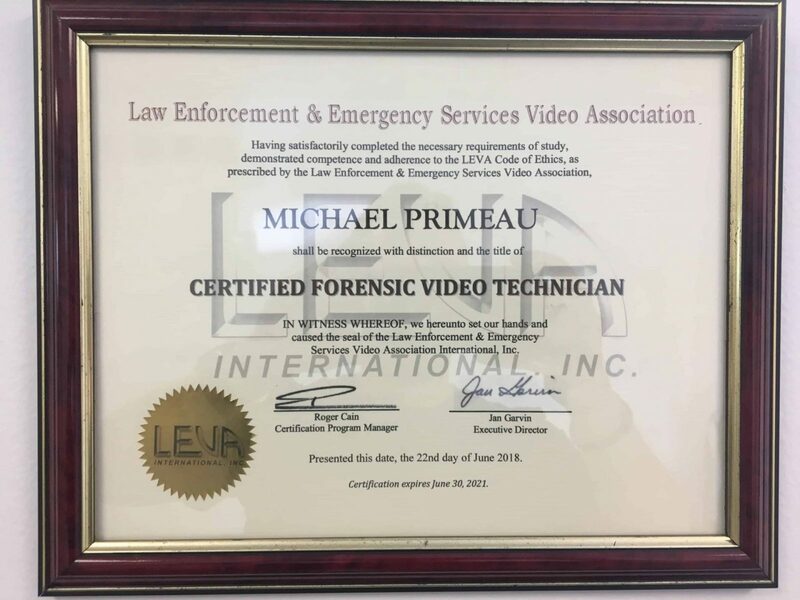 While Michael has actively worked in the audio and video forensic industry for 8 years, he grew up around it through his father, Edward Primeau. 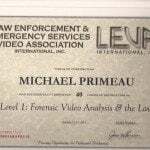 Edward Primeau founded what is now known as Primeau Forensics, LTD. in 1984, 7 years before Michael’s birth. You could almost say that he was born to be a forensic expert. 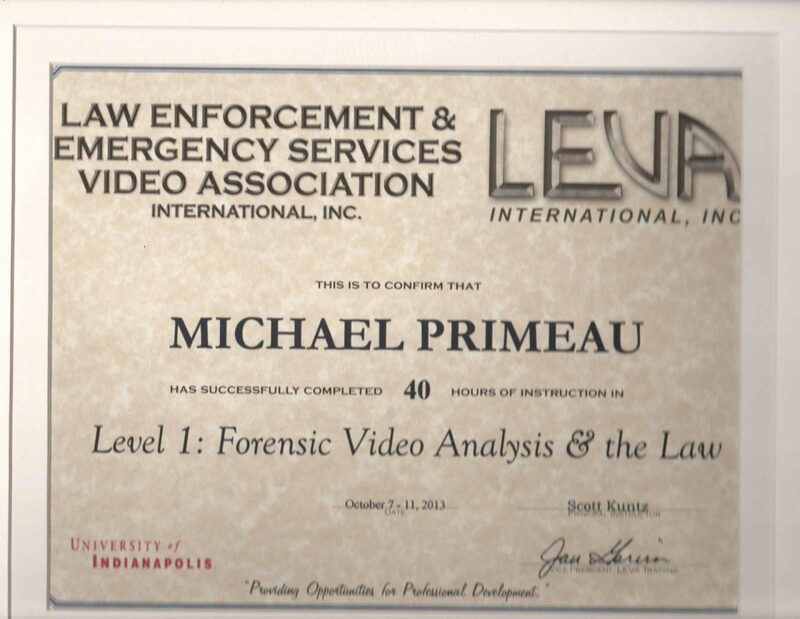 Throughout his formal education and forensic training, a core value that Michael holds to forensic analysis is to reduce the opportunity for biasing during an investigation at all costs. To protect the integrity of Primeau Forensics, LTD., as well as the integrity of the investigations that he performs for his clients, any forensic analysis must be approached from an unbiased third party scientific perspective. The most exciting part about Michael’s job is not only helping the trier of fact, litigators or private clients answer complicated questions, but also to present complex data in a simple understanding. 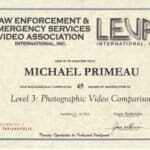 Michael is currently a member of LEVA (Law Enforcement and Emergency Services Video Association), AES, and IAI. 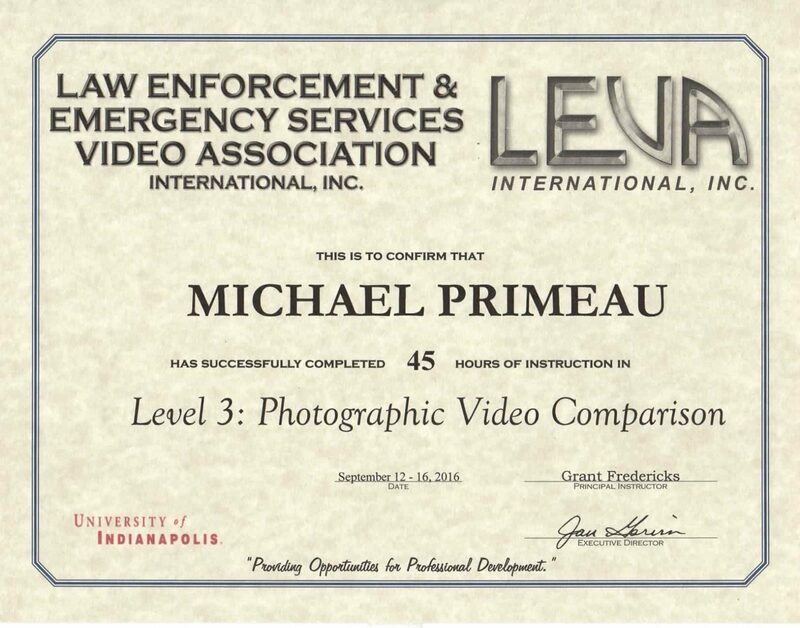 He has completed training through LEVA in Video Forensic Analysis and Photographic Video Comparison. 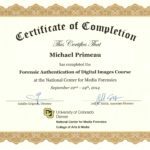 He has also completed training with the University of Colorado Denver Center for Media Forensics in Forensic Audio Authentication and Audio Enhancement and Forensic Image Authentication. He has worked on investigations ranging from cases in the United States to those in Sweden and Canada. Along with actively working on cases, Michael has consulted with the media on several cases including appearing on The Travel Channel’s popular TV Series Expedition Unknown. When he isn’t working on cases, investigations, or being an expert witness, Michael enjoys playing the drums and guitar, honing in on his photography skills, and drinking copious amounts of coffee.